Krishna Herbal Company has launched blend of Bittergourd juice with Amla Juice for Diabetic patients. The Juice contains pure Karela Saarorganically grown bittergourds mixed with fresh Amla fruits. Bittergourd is known as one of the best naturally occurring Anti-diabetic herb and Amla alongwith it's Anti-Diabetic properties provides nourishment to the body. Regular use of Karela Saar controls the sugar levels and also the fluctuations in the Sugar level. It also provides vitamins and minerals needed by our body for metabolism and assimilation of Sugar in our body. The bitter gourd has excellent medicinal virtues. It is antipyretic tonic, appetizing, stomachic and laxative. The bitter gourd is also used in native medicines of Asia and Africa. 3 teaspoonful twice daily, Morning and Evening with equal water. Diabetes The Bitter gourd Juice contains a hypoglycemic or insulin-like principle, designated as 'plant-insulin', which has been found highly beneficial in lowering the blood and urine sugar levels. It should, therefore, be included liberally in the diet of the diabetic every morning on an empty stomach. 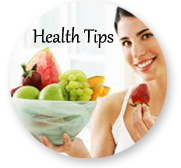 A majority of diabetics usually suffer from malnutrition as they are usually under-nourished. Bitter gourd being rich in all the essential vitamins and minerals, especially vitamin A, B1, B2, C and Iron, its regular use prevents many complications such as hypertension, eye complications, neuritis and defective metabolism of carbohydrates. It increases body's resistance against infection. The cellulose content of the bittergourd increases peristalsis. 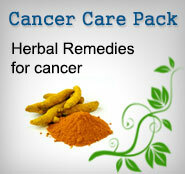 Its regular use thus prevents habitual constipation. The Juice of the bittergourd is highly valuable in chronic constipation and haemorrhoids, i.e.piles. It may be given in doses of half to one small tumbler at bed time. Bitter gourd is highly beneficial in the treatment of blood disorders like blood boils, scabies, itching, psoriasis, ring-worm and other fungal diseases. A cupful of fresh juice of bitter gourd mxed with a teaspoonful of Amla juice should be taken, sip by sip, on empty stomach daily for four to six months in these conditions. Its regular use in endemic regions of leprosy acts as a preventive medicine and in Ayurveda it has been described to have Blood purifying properties. The Vitamin C content of Amla Saar is between 625 mg - 930 mg per 100 grams ! Amla juice has twenty times more vitamin C than orange juice. Wow ! Isn't it amazing ? Karela Saar is rich in the mineral elements, viz. phosphorus, potassium, calcium, magnesium, and iron. Regular use of Karela Saar lowers the cholesterol levels and scavanges free radicals out of the body. Karela Saar is used in treatment of Acne and other skin problems. Karela Saar is very effective in treatment of Acidity and Peptic ulcers. Karela Saar is rich in Vitamin C, Calcium, Iron, essential amino acids and many other vitamins and minerals and anti-oxidants. Regular Use of Karela Saar improves immunity, fights cancers, rejuvenates the body.